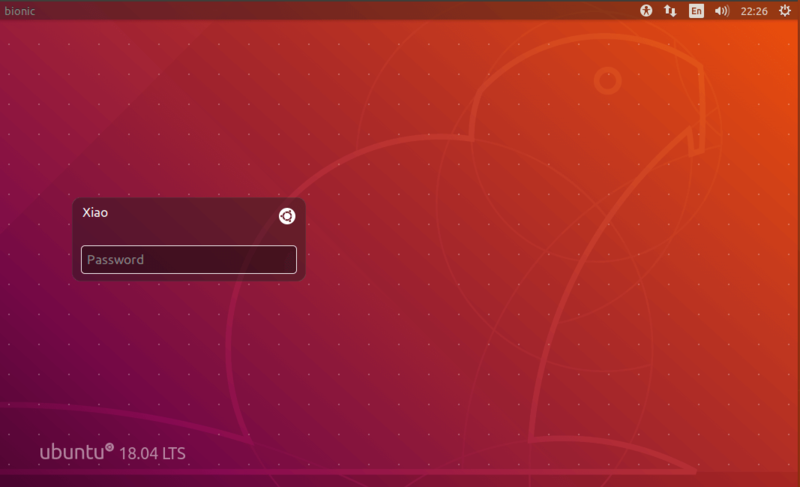 This tutorial shows you how to install Unity Desktop on Ubuntu 18.04 LTS. We will also restore the nice-looking Unity login screen, in case you don’t like the GNOME login screen. I personally don’t like GNOME. Here’s why. There’s too much movement when switching between programs, which is distracting. I also don’t like the fact that GNOME is trying to remove functionalities that I love to use over the years. If you insert a USB stick, the icon is shown on the desktop. You need to minimize your current window to access it. In Unity, I can simply click the USB icon in the left launcher bar. I can’t understand why the icons are shown on the desktop when there’s room in the left bar. In GNOME, a program’s menu bar isn’t displayed on the top bar, which wastes screen real estate. I prefer the window control buttons (minimize, maximize, close) on the left side of title bar because when you click one of three buttons, you are likely to switch to another program, which requires you to click on the left side of the screen. Sometimes I want to hide the clock on the top bar so as to focus on my task and not worry about time and deadline. It can be easily done in Unity but difficult to do in GNOME. GNOME becomes the default desktop environment since Ubuntu 17.10 with some Ubuntu-made modifications. But still, I can’t bring myself to like it. You may argue that users can install extensions to customize the desktop, but I’m not a person who would spend much time modifying appearance when there’s already one desktop environment I like. 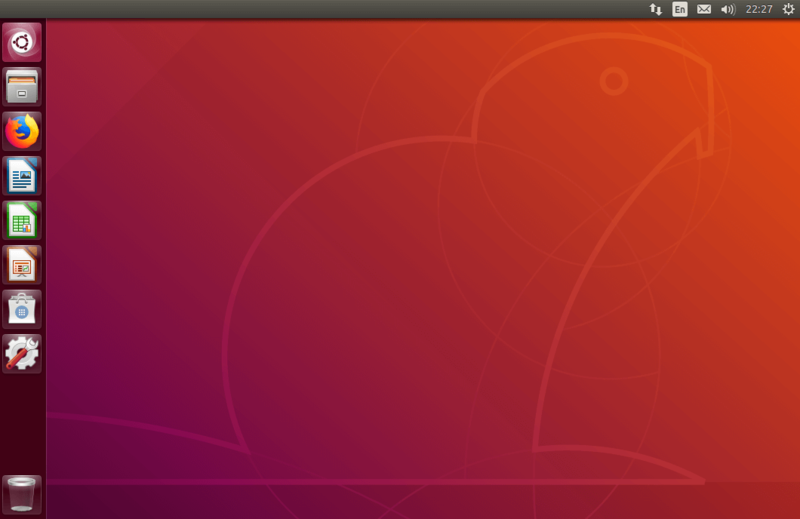 If you want an out-of-the-box Unity experience, you can download Ubuntu Unity Edition ISO image. For those who have already installed Ubuntu 18.04 GNOME, follow the instructions below to install Unity Desktop. Open up a terminal window. Then run the following two commands to install Unity 7 desktop from the default software repository. This will install a lot of packages. Hit Enter to continue. During the installation, you will be asked to choose a display manager. 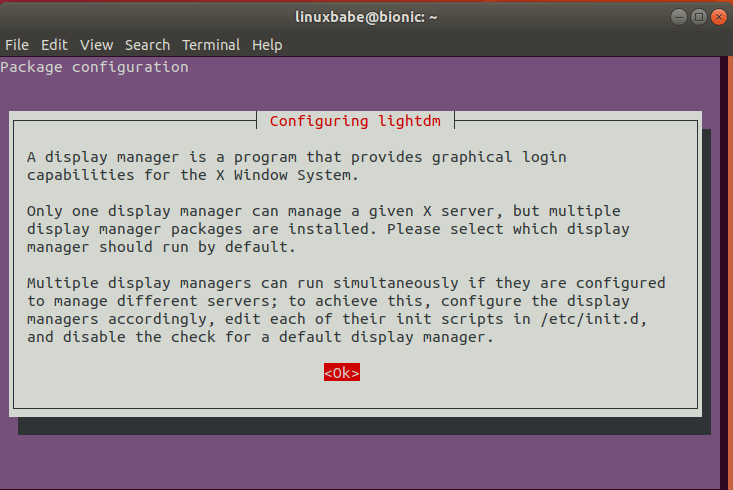 You can choose lightdm display manager, which will give you the Unity Login screen. gdm is the default display manager for GNOME desktop. Once the installation is complete, restart your Ubuntu 18.04 computer. Now you are greeted by Unity login screen. What a warm feeling to have it back! The default desktop environment is now Unity. You can click the Ubuntu icon to choose another desktop environment if you want to. 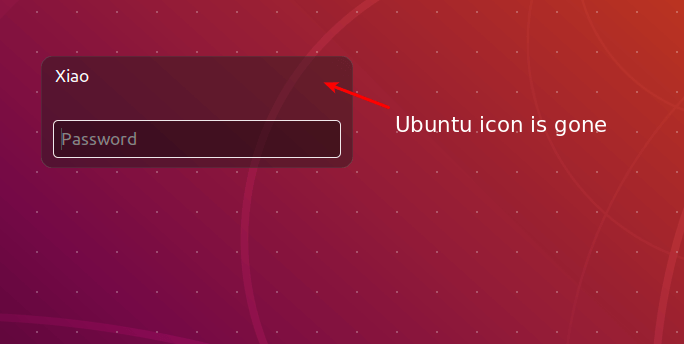 If you upgraded from Ubuntu 16.04/17.10 to Ubuntu 18.04 and the login screen was replaced with the one from GNOME desktop, you can restore Unity login screen by running the following command. And here’s the good old Unity desktop. You can use the screenfetch tool to check Unity desktop version. As you can see, we have installed Unity 7.5.0. You can also acquire Unity version by running the following command. Since we installed Unity, why not install the Unity tweak tool? If you don’t want to keep GNOME on the list of available desktop environments, uninstall it with the following command. If you now restart Ubuntu 18.04 OS, there will be no GNOME desktop in the login screen options. 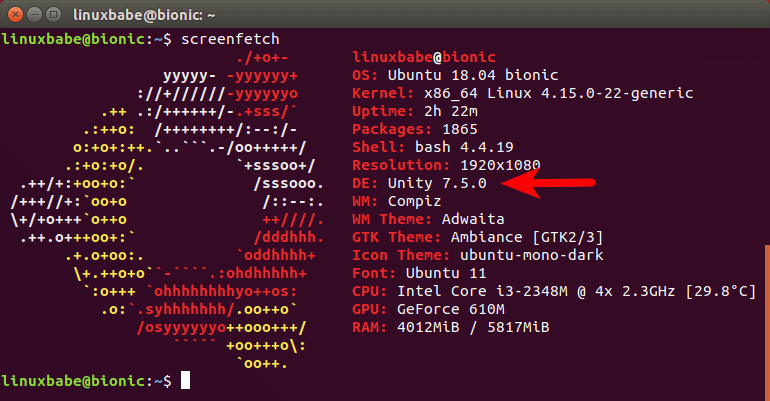 I hope this tutorial helped you install Unity 7 desktop on Ubuntu 18.04 LTS. As always, if you found this post useful, then subscribe to our free newsletter to get more tips and tricks. Take care. Thanks for help, my friend ! Thanks so much for your tutorial I “upgraded” to 18.04LTS a week ago and tried to use the Gnome desktop but I have given up. The docker does not scroll properly, no lens and much of the screen is not usable. Have used Unity since Ubuntu 8.04 netbook and love it. I’m glad to see that I’m not alone in hating the Gnome desktop. I’ve been struggling with it since upgrading to 18.04 (in conjunction with a hardware upgrade) and am going to be switching to Unity. I had a heck of a time finding the ‘Suspend’ button. Long-press the “Power” button, and wait for it to change? And is the keyboard repeat control under keyboard settings? Why no– far too obvious! Let’s bury it under the Accessibility settings. Finding basic controls shouldn’t require a hint book. Probably my biggest gripe is the behavior of the launch bar when multiple windows are open in the same application. In Unity, if I had, for example, 2 or more FireFox windows open, and switched to another application, clicking on the FF launch bar icon would take me back to my most recent window. With Gnome, after clicking the icon, I’m presenting with thumbnails of all the open FF windows, and must select the one I want. And since their order keeps changing, unless I can discern from the tiny thumbnail which one I want, it’s pretty much hit-and-miss as to whether I pick the right one. In Unity the second select click only occurred if a FF window already had focus, and I clicked the LB icon again (and the displayed thumbnails where big enough to tell which one I wanted!) And Unity also had the delightful feature of letting me mouse-over the LB icon, then use my scroll wheel to flip through the open windows. really helpful article. i am new in ubuntu, & i have a question. do i need any back up for changing the gui? No. If you want to switch back to GNOME, just install the gnome-shell package and select the desktop environment at the login screen. Like many ‘silent’ happy unity users, still shocked by the seemingly fall of unity and convergence, I am refusing to use gnome in my desktop. From being used to a professional user interface we are now back 10 years ( in my humble opinion ), and I hope a miracle happens and Unity keeps moving forward. I have followed the tutorial and installed unity this way on my desktop. For my laptop I found there is an ISO ready for Unity on 18.04, so you get pure Unity no gnome. It works amazingly good.. I recommend it! Thank You!! Gnome-Shell is totally unproductive for professional use. Unity is the best, I hope it will continue to be developed. You forgot to include instructions on how to remove this Unity that isn’t working for me. sudo apt remove and purge don’t do a blessed thing. First, make sure you have another desktop environment installed and working. Then switch to the other desktop environment and run the following command to remove Unity desktop. Thanks for the advice and well intentioned efforts to give Ubuntu users what they want, not what Ubuntu tells us we want. Could you perhaps let me know, ie., let us all know that is, if this Unity thing is being worked on? You’ve not indicated there is a PPA to hook up to, but I found one posted above. As I mentioned before, it crashes often, the date doesn’t format correctly to a European location, the desktop icon in settings initiates a crash if pushed and those are just two instances that I can initiate myself. This on a fresh install of 18.04. I’d love to be able to use Unity with the same stability as before. I’ve been well satisfied with 16.04, but a gui for OpenVPN that doesn’t work on 16.04, does work on 18.04. So either Unity gets fixed or I have to move on to something else that does. Thanks! 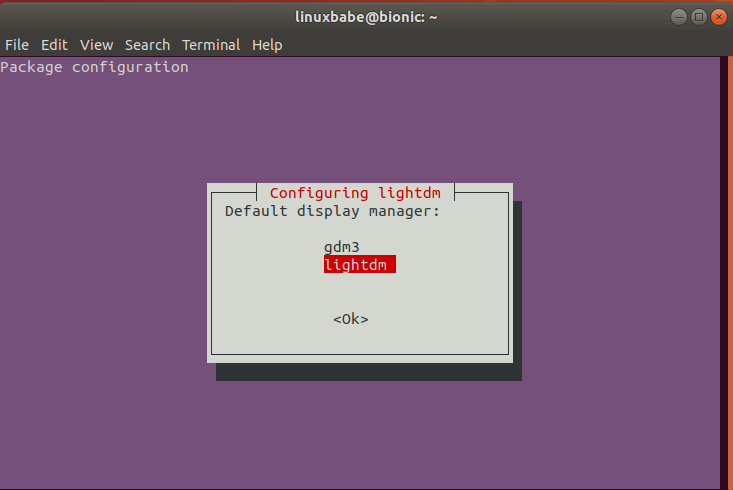 I ran the instructions in the terminal exactly as outlined, however I was never asked nor given the option to do anything with lightdm. No screen ever popped up. I have restarted, updated, did everything I could think but I cannot get unity to work. Are there any suggestions? Thank you! I gave the return to Gnome another try, and I never learned to love it. Cheers! Sorry, I don’t understand Portuguese. Make sure sudo apt update finished successfully. Tried Gnome but happy to be able to return to Unity, thanks for this guide, flawless installation! Thank so much for posting this. 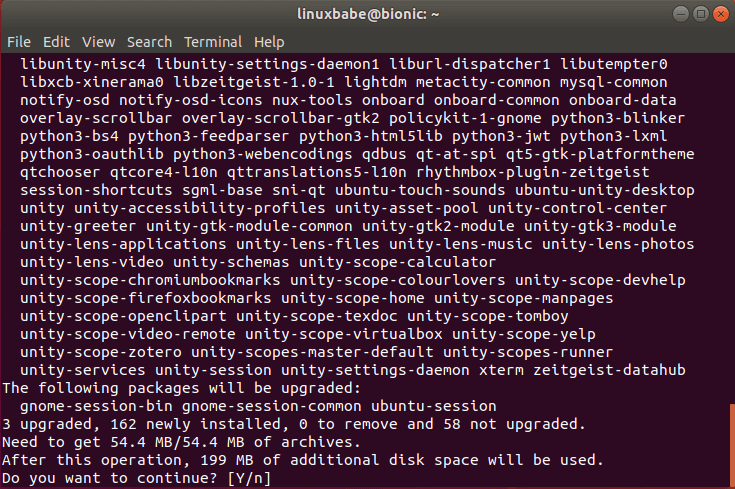 Another article left out “sudo apt update,” so I was unable to install Unity; I have it now, thanks to you. # you will find 2 system-monitors, 2 terminals, 2 calculators etc apps are showing in the launcher.